From the onset, it was possible to add up to 3 photos for each item you’re selling on Swapit. Using a great photo significantly improves the chances of selling your item faster. We’ve seen many people using all 3 photo slots to present their items. While 3 photos are absolutely sufficient for most items, some other items (e.g. cars, property, etc.) require more photos to properly present the item to potential buyers. We have realized having more than 3 photos can be a very important differentiator of an item over another similar one. Therefore, Swapit now allows to upload up to 10 photos for each item as a Premium Service. Similarly to our other already existing Premium Services (premium categories, item highlight & item feature), during our beta it is absolutely free to use this premium service. All you need to do is inviting a friend to download Swapit. You can then instantly add up to 10 photos for the item you’re posting. Give it a try now! Post an item for sale on Swapit! The latest Swapit update also comes with a great enhancement, we have been wanting to add for a long time: chat snippets. It’s a concept that’s not new and we have been using it for many years in the customer support tracking software / service of our choice FogBugz (it’s free for a startup account, by the way). So we figured, Snippets will add a lot of value to our users and make their life a lot easier when using Swapit. 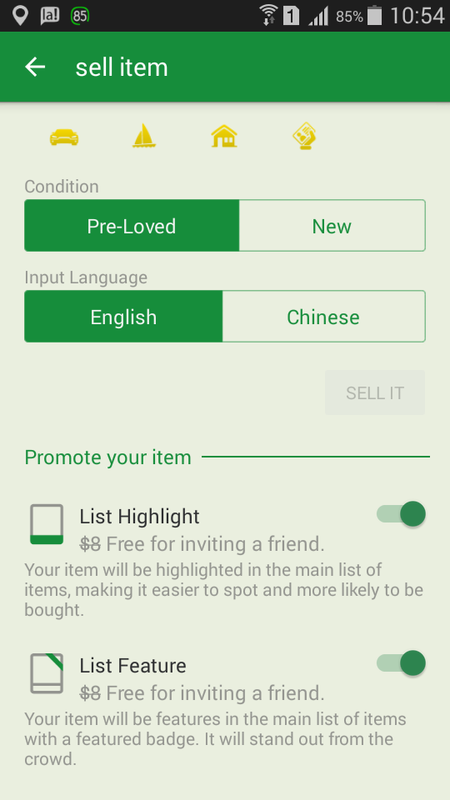 With the change in the last version of Swapit where interested buyers can directly open a chat to buy an item, we now take it to the next level by offering the buyer a convenient way to say a couple of most-used phrases to get the conversation going. These are simple things like: “I’m interested.”, “Where do you want to meet?” and so on. Furthermore, we have added many small improvements and fixed several bugs to improve the user experience for everyone. A simple example would be the easy quick-switch to select or de-select all categories in the filter panel. There is more to come. We have some great advancements on our roadmap! Stay tuned for future updates!